Will he end up as witch's fodder? Groove Inc certainly hopes not, as they plan to release this hapless boy April 2016. And they're looking at you, in hopes that you'll be Isul Hansel's savior. 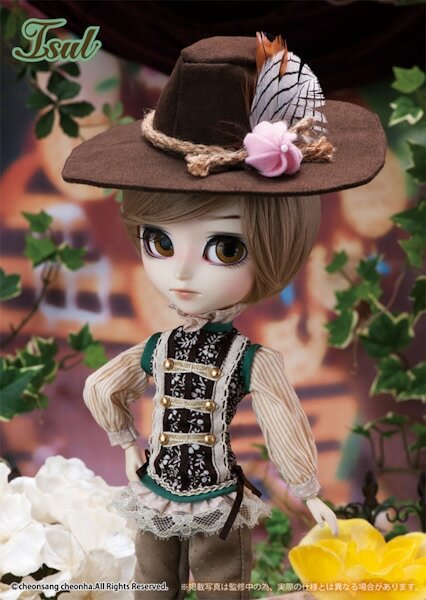 Isul Hansel along with his sister Pullip Gretel, originated from the Brothers Grimm's fairy tale "Hansel & Gretel"
A tale about 2 kids lured by a witch's gingerbread house. The witch intended to eat the children, but with quick thinking, on Gretel's part, the two survive this misfortune. 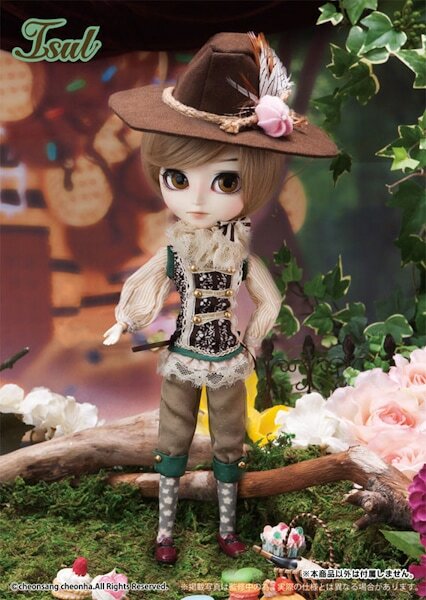 Isul Hansel is a nice doll but like I said with Pullip Gretel, I wish the line had a more creative concept rather than the traditional approach. The brown hues are just that, brown, nothing is really standing out for me with this release. Yet, I'm still left with an empty feeling and just want more from this release. Will Hansel get to experience a happily ever after ending, or will you leave him hanging in that cage? What do you like about this boy and why? 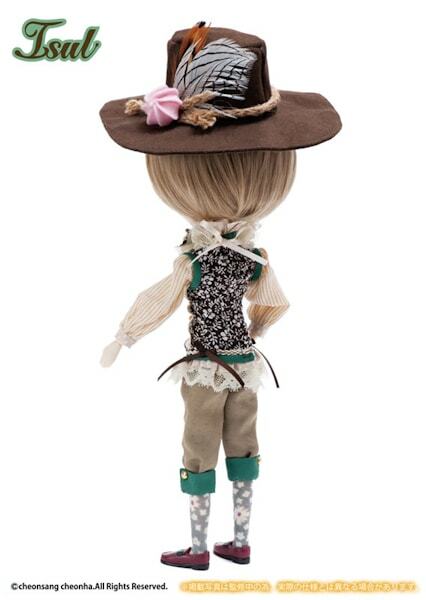 If you don't like Hansel, what is your least favorite thing about this doll and why? Be sure to leave a comment below, we can't wait to read your comments! Need a refresher on the Hansel and Gretel tale? You can read the Hansel and Gretel tale here for free! This is a concept I’m surprised hasn’t been done sooner considering how popular the story is. 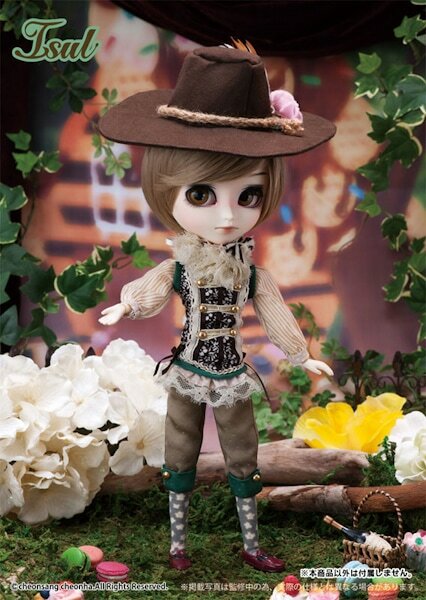 I prefer Isul Hansel to pullip Gretel. 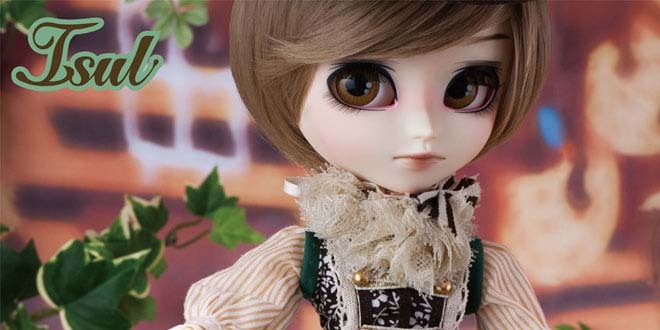 I really like the color of his wig eyes especially, very pleasing. The outfits on both dolls, something about them seem off to me and I’m not sure what. Overall I’m happy we are moving in from the sailor moon phase, whew. So far this fairy tale theme piqued my interest, I look forward to seeing what Groove Inc will announce next. When I first saw this two I was excited because I thought that finally Groove bring us something new but then I read the title “Hansel and Gretel” and I quickly came back on the ground. 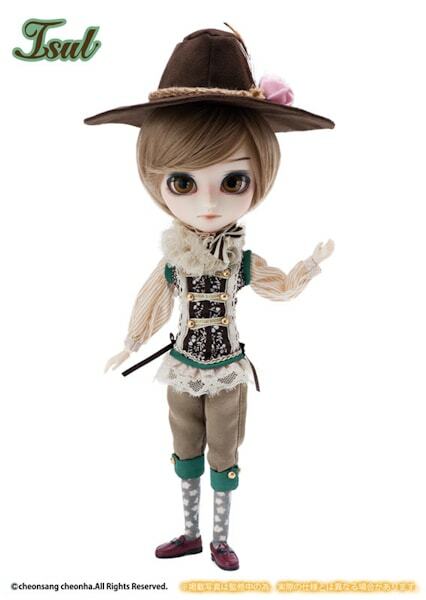 Yes it’s not some other collaborations or Sailor Moon dolls but I’m very mixed in the end even if I like dolls based on fairy tale characters. I just want something else I think. 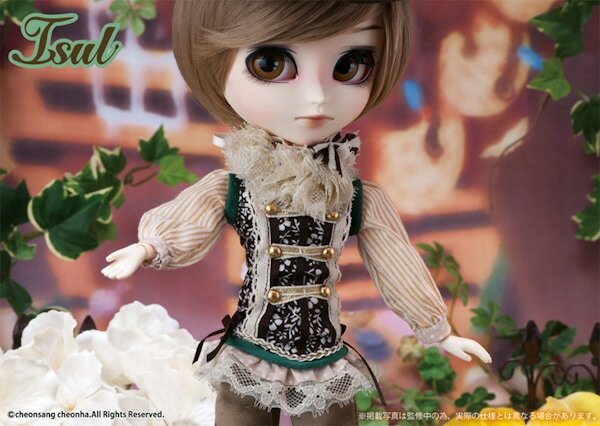 It’s the first time for me that I prefer an Isul over a Pullip! 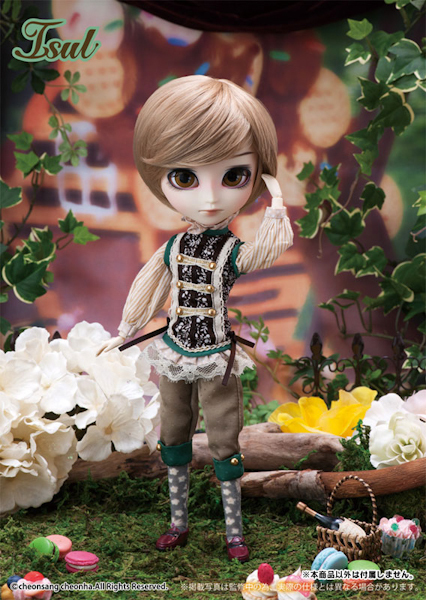 XD I like the look of this cute boy. 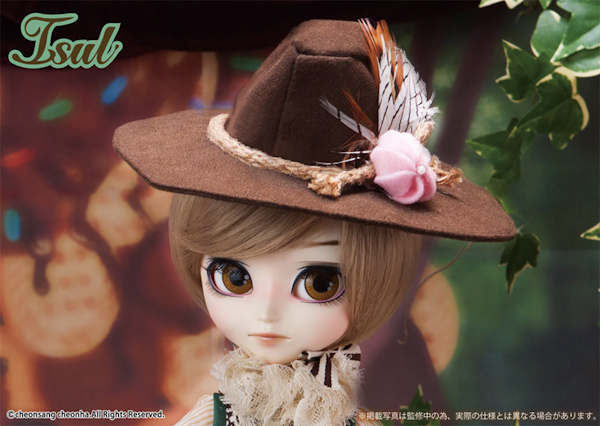 I know that the tale takes place on Germany but his outfit strongly reminds me the one of a Tyrolean man especially the hat with those feathers! By the way it’s not a flower but a pink meringue XD Maybe a reminder of the cake house of the witch? Yeah I agree, Groove could’ve stepped out of the box with this release. Thanks for the interesting tidbit about the outfit and the pink meringue. I look forward to seeing owner pix of Isul Hansel.